Qaailah Raani Hussain is a Grade 7 learner who has a passion for saving birds! Why birds, you would ask. As she tells us in the video, it all began when a penguin swam into her knee when she was just 5 years old. She immediately fell in love with the penguin because it was so cute. Raani says that she then did her research and noticed how the penguin population was rapidly declining! She saw this as a problem, and the only way to escape a problem…is to solve it! With her mind made up and a goal set , she started collecting money from family and friends and donated it to SANCCOB. 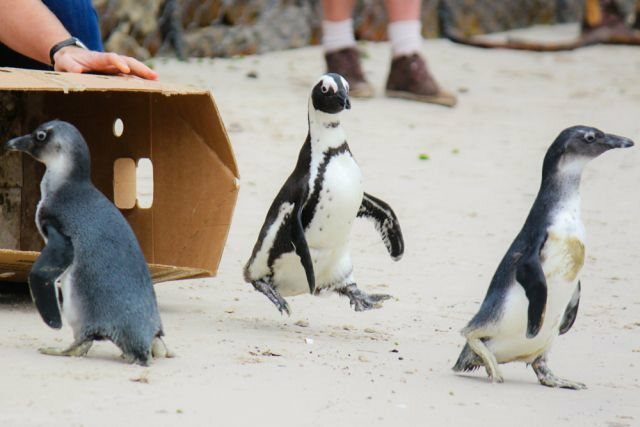 SANCCOB is a registered non-profit organisation whose main goal is to reverse the decline of seabird populations through rescue, rehabilitation and release of ill, injured, abandoned and oiled seabirds – especially endangered species like the African penguin. In a normal year when there are no oil spills, SANCCOB treats up to 2 500 seabirds, of which approximately 1 500 are African penguins. The remainder includes various species of pelagic birds such as albatrosses and gannets , gulls, pelicans and other coastal birds found in the region. On average, 24 different seabird species are rehabilitated every year. SANCCOB is an internationally recognised leader in rehabilitation of ill seabirds and contributes to research which benefits seabirds. Because each one of us can make a difference but together we can make a change!